Flash Experts: Check this out for a laugh. Click the image below if you have used Flash and want to see a funny animation about the software. Or if you haven't used the software, check it out and you'll see all the little things that are used to create a movie. Great job Alan Becker. Thanks for sharing! How much time did this take you to create?? 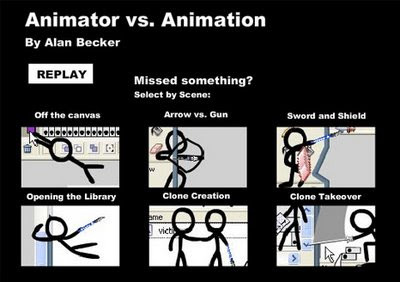 Check out Animator Vs. Animation 2 if you like the first one.